As demonstrated by Miss Hepburn in Breakfast at Tiffany’s, a vintage doll is never without her trusty kitty companion. 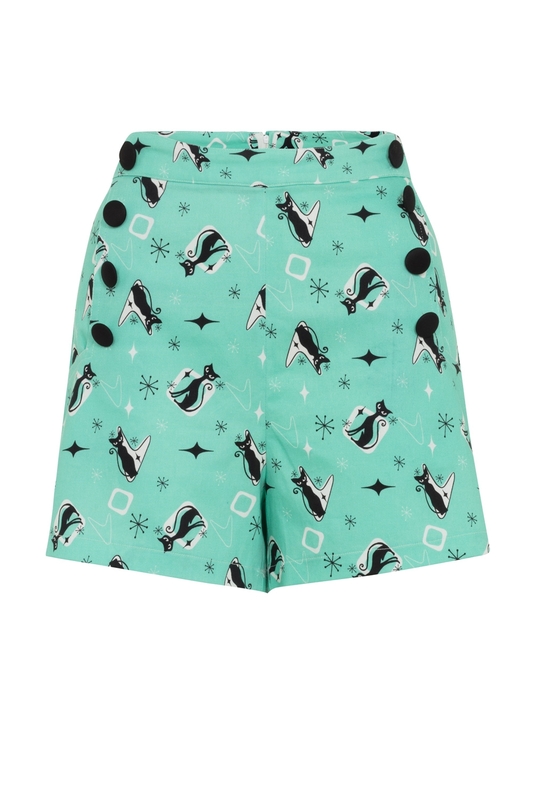 Wear the flirty feline emblem wherever you go with these gorgeous shorts. Oh, and don’t forget every street is a catwalk!